This was the hardest podcast I have ever made, I started and stopped what felt like a hundred times. 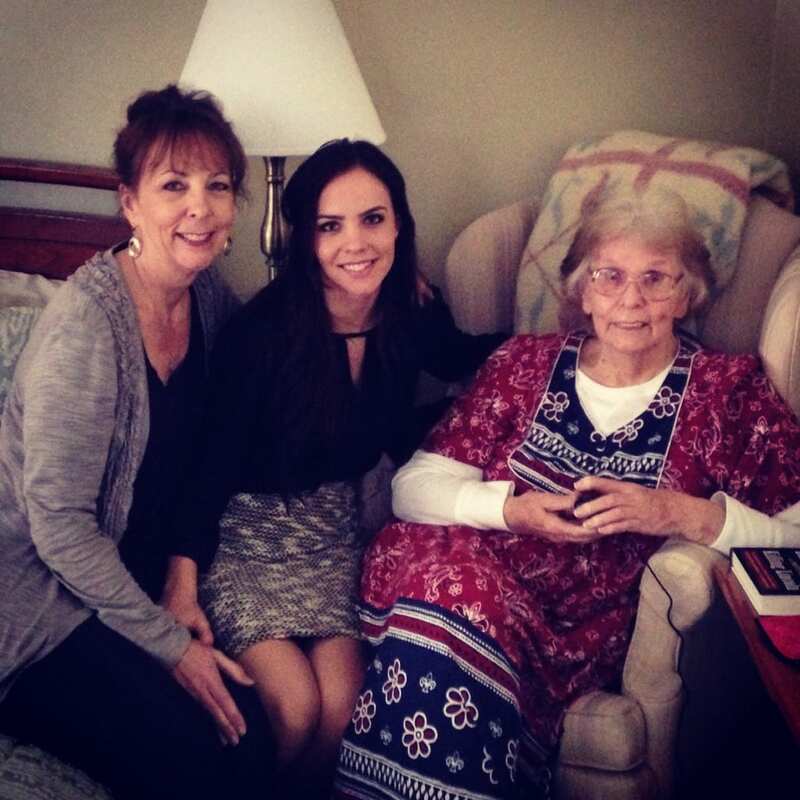 See today is my Nana’s birthday and since she went home to be with Jesus this summer, and I wanted today to be so special – I wanted to share with you the story of her life, the impact she made, all the hundreds of simple reasons why she is so irreplaceable to me. But as I sat with paper and a pen to write notes, I was left completely empty. There are just no words that I could breathe life in to that would ever sum up who she was and the impact she had on my life. They would all fall short. And then I thought about her- Nana was such a simple, private person. She probably wouldn’t like her life story out here for the world to listen to. And while she has quite the story- it’s not my story to tell. So as I sat here with tears in my eyes, day after day as I tried so desperately to put words and sentences and paragraphs together in an effort to illuminate her life and legacy, I still continued to stare down at paper that just would not fill. And a wastebasket with crumbled papers and a laptop with dozens of half started sentences. And then i thought about something that Nana unknowingly left us. A little peep hole into her soul. A poem she wrote in her beautiful cursive and stuck into my Mom’s baby book, closed for a couple decades only to be found by Mom a couple weeks before Nana went to be with Jesus. And this poem, I believe with all my heart- is a song that we as women all sing…. Even if we haven’t known the words. And my hope is that today it will connect you to a piece of your soul that maybe you just haven’t been able to articulate. Then, share a simple moment on IG or Facebook and share what beauty you find in the simplicity. #GracefulGladiator and tag me- @MrsHannahPlace so we can connect! Thanking you Hannah for sharing. That was very inspiring.